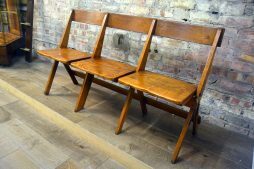 Antique Benches | Interior Boutiques – Antiques for sale and mid century modern furniture, french furniture, antique lighting, retro furniture and danish furniture. 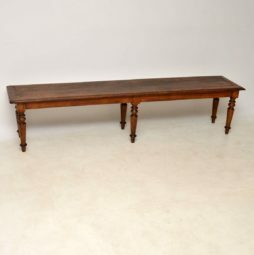 Very long antique Victorian solid oak bench in lovely original condition. 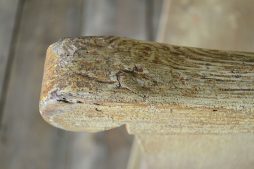 There are various marks, knocks, indentations & distressing all over this piece, which only adds to the overall character. 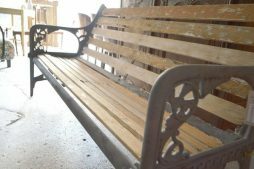 It’s structurally sound & is very well made. 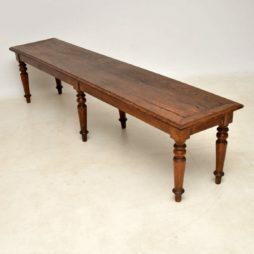 The legs are nicely turned too. 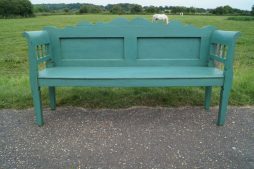 It’s quite rare to find this type of bench that’s original & not made up. 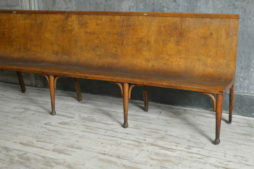 I would date it to around the 1850-60’s period. 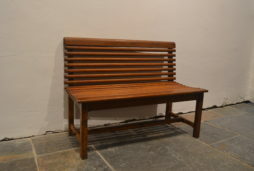 Pair of very simple design, wooden benches. 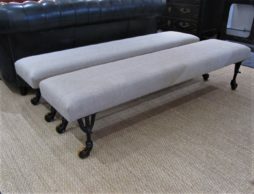 Would look great round a dining table. 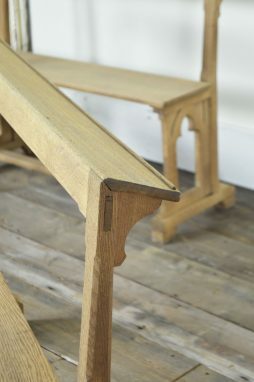 19th Century L shaped bench from a bistro. 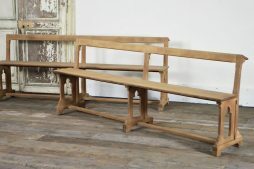 Great corner kitchen or industrial piece. 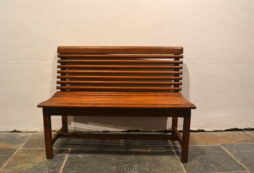 Very wide bentwood bistro banquette. 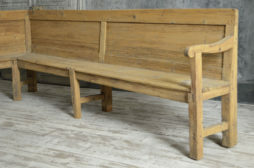 Very large 18th Century Settle great original grain. 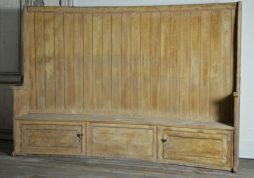 Early English tavern settle, in pine with original graining and fittings. 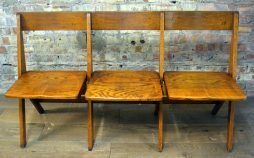 We have a pair of these theatre benches in stock – they are in lovely original condition and are collapsible. 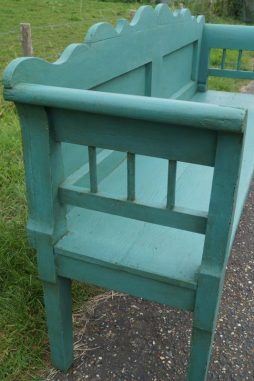 Condition Report : In Good condition. .
Garden Bench designed by Christopher Dresser for Coalbrook circa 1875. 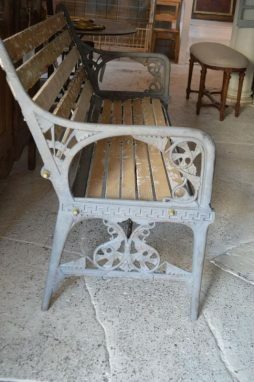 In early organic art nouveau style.